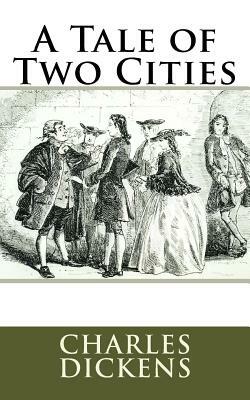 A Tale of Two Cities by Charles Dickens A Tale of Two Cities (1859) is the second historical novel by Charles Dickens, set in London and Paris before and during the French Revolution. It depicts the plight of the French proletariat under the brutal oppression of the French aristocracy in the years leading up to the revolution, and the corresponding savage brutality demonstrated by the revolutionaries toward the former aristocrats in the early years of the revolution. It follows the lives of several protagonists through these events, most notably Charles Darnay, a French once-aristocrat who falls victim to the indiscriminate wrath of the revolution despite his virtuous nature, and Sydney Carton, a dissipated English barrister who endeavours to redeem his ill-spent life out of love for Darnay's wife, Lucie Manette. We are delighted to publish this classic book as part of our extensive Classic Library collection. Many of the books in our collection have been out of print for decades, and therefore have not been accessible to the general public. The aim of our publishing program is to facilitate rapid access to this vast reservoir of literature, and our view is that this is a significant literary work, which deserves to be brought back into print after many decades. The contents of the vast majority of titles in the Classic Library have been scanned from the original works. To ensure a high quality product, each title has been meticulously hand curated by our staff. Our philosophy has been guided by a desire to provide the reader with a book that is as close as possible to ownership of the original work. We hope that you will enjoy this wonderful classic work, and that for you it becomes an enriching experience.